Look for complete recipe ingredients on my Main Dish page. 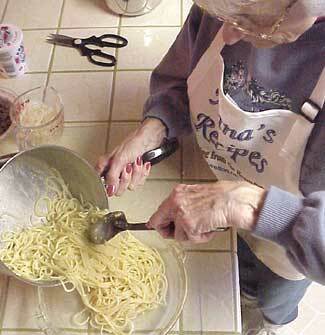 Pour liquid mixture (egg and butter) over cooked spaghetti. Stir to blend. 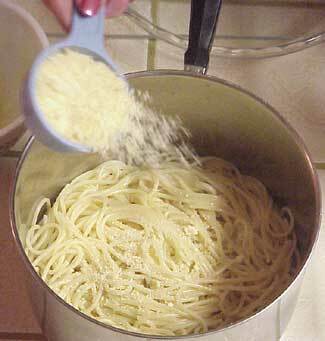 Sprinkle Parmesan cheese. Stir to blend. 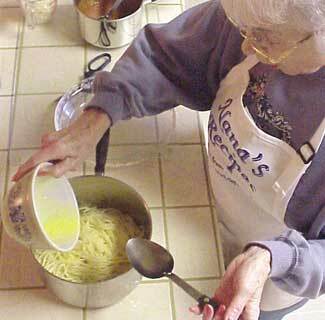 Pour spaghetti mixture into deep dish pie dish.